The closure of the Casino Gran Madrid´s online poker portal highlights the two major problems for ipoker in Spain – high taxation and a lack of liquidity. The pain for online poker in Spain continued last week with the announcement that Casino Gran Madrid was closing its online poker portal due to being unable to provide an attractive product in a hostile environment . Casino Gran Madrid was a high profile skin on the Spanish i-Poker Network which – although a remote third in the Spanish online poker market behind PokerStars.es and 888.es – still manages to attract a couple of hundred players on a Sunday night. 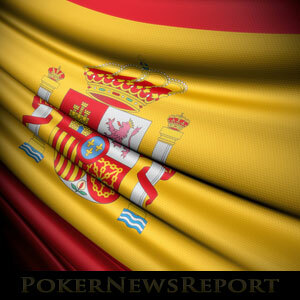 The news follows the closure of the Efortuny and Poker Heaven online poker sites on the barely alive International.es network at the end of June, and coincides with a series of damming opinions from industry experts about the state of the Spanish online poker market after three years of regulation. The press release announcing the closure of the Casino Gran Madrid online poker portal was distributed to registered players via email. In the announcement, the Casino Gran Madrid informed players that although the online poker product would cease to be offered from Friday 31st July, players could still use their bankrolls to play online casino games like blackjack, roulette and baccarat. Those would wanted to withdraw their bankrolls were advised to convert their VPP Points into cash before Monday 31st August, after which they would be forfeited. 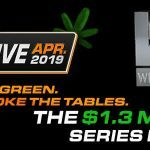 Players also have the option of using their cash and VPP Points to buy-into live poker tournaments at the brick and mortar casino in Torrelodones (Madrid) provided that the casino´s customer services department are made aware of this by the end of August. The email also advised players that Casino Gran Madrid hopes to re-launch its online poker product when we have a more attractive offer for players – presumably when the environment is not so hostile or, in other words, when the country´s two major problems of high taxation and limited liquidity are resolved. Three Years of Regulation – So Far, So Bad! It has been three years since online poker was regulated in Spain, during which time the market has nearly halved in size. High corporate taxation (25% of gross gaming revenues) and high personal taxation (20% of net poker winnings) have driven players away from the regulated sites and into the arms of offshore poker providers where they pay less rake, get better rewards and can find more valuable tournaments. The tax burden is among the highest in Europe and the [lack of] international liquidity makes a difference in terms of market growth. The supply of online gambling in Spain continues to have competitiveness problems due to excessive direct taxation. If taxes are not reduced, operators either have to merge or disappear. This artificial reduction of supply, coupled with the high level of taxation on the market, has driven away the vast majority of players … … to the black market, playing through VPNs and facing no opposition from the regulator. As the regulator´s numbers confirm, players are leaving and being forced to [play] outside of legal channels. 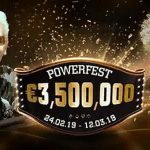 To put the problems into context, the winner of the biggest online poker tournament in Spain last weekend – “pkrsuarez” who took down the PokerStars.es Sunday Special for €8,646 – will clear about the same after tax as the fourth placed finisher in Americas Cardroom´s Sunday Special, or the third placed finisher in next weekend´s SOPS Main Event on Full Flush Poker (for a smaller buy-in). Due to the high corporate tax rates, cash game players on PokerStars.es pay up to 5.35% rake up to €3.00 per hand (the offshore “standard” is 5% up to $3.00 per hand) and get lower-value bonuses and rewards than their offshore counterparts. If you factor in the personal tax deduction for net winning players, it is not difficult to see why many online poker players in Spain are choosing to abandon their domestic sites and venture overseas. The pain in Spain is set to continue. The question is, which site will fold next?